PLINK! The most satisfying sound I’ve heard since the dawn of the Xbox 360. 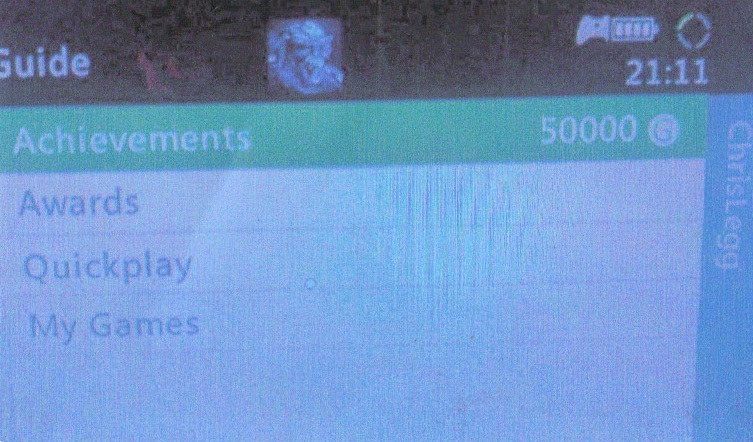 It’s the sound of an acheivement being unlocked, and some more points being added to my gamertag. It’s like a pat on the back. A small reward for my skill, my unwavering patience, or my blind pot luck! An explanation, for those who need one. Each game released on Xbox 360 or it’s big brother Xbox One… comes loaded with achievements. 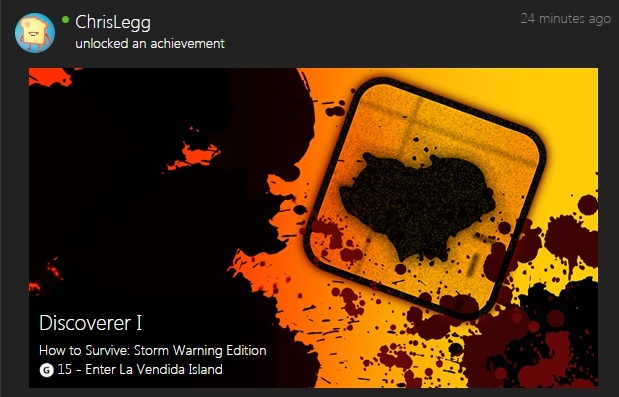 Each achievement has it’s own criteria for an unlock and it’s own gamerscore value. 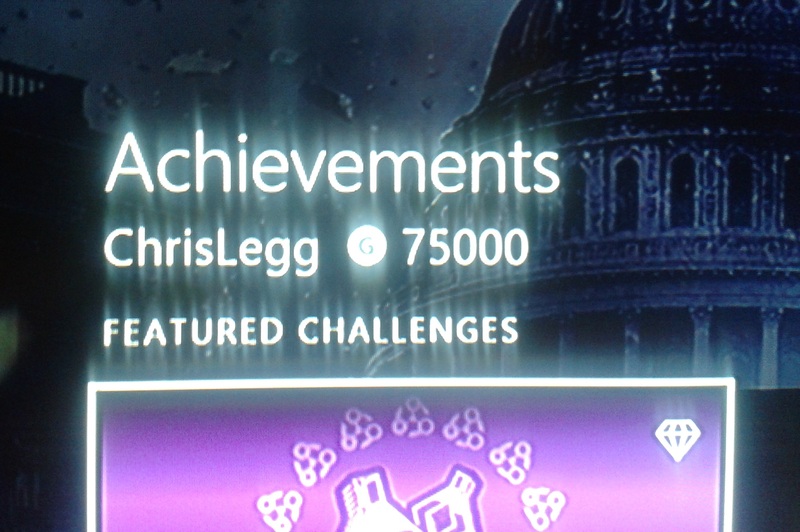 Numbers of achievements very per game, but the total score always levels off at 1000. (DLC and compilations can push the number up though.) Achievements can be given out for anything, from simply pressing start (that was in a Simpsons game) to shooting down all 200 of GTA IV’s pigeons! 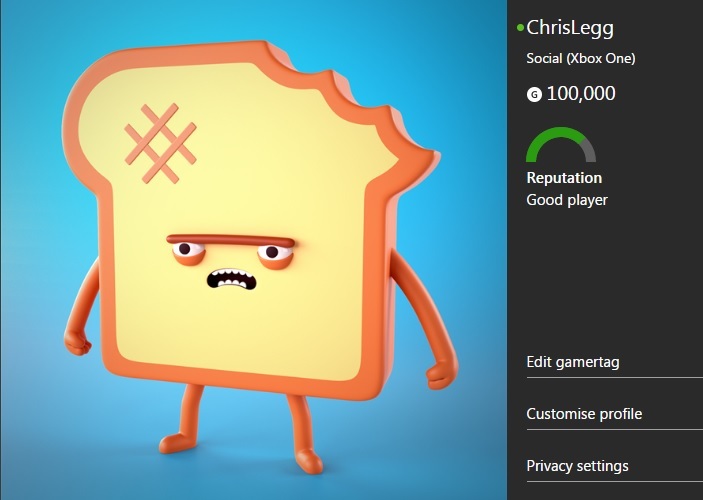 Anyway, we’re gathered here today because my own personal gamerscore is reaching critical mass. 80g to the finish line. As you’re finding out here on Load/Error… I have a tendency to reflect at times like this. I like to look back at the journey that’s led me up to this point. I’ve been on a great many adventures. Saved the Galaxy, lifted the world cup, survived Zombie apocalypses and nuclear wastelands. I’ve wrestled my way to the top of the WWE, and jammed with rockstars via plastic guitar! Wow, this is why I love gaming. And throughout all those experiences, my gamerscore has been ticking, bit by bit, towards the point we’re at today! There were competitions going on at one point, with friends and workmates. Who had the highest score? Who was beating who? The hunt was on for the easiest games to beat…. and for a while, I was caught up in that. The famous avatar game would reward a player the whole thousand points for standing still and mashing the B button. That’s in my list, and I’m only semi-ashamed of it. That quickly died down, however. And 99% of titles require time and dedication to beat properly. In a precursor to this post, I started pulling up some fond memories and wanted to talk around them a little. Promise i won’t take up too much of your time! This is the oldest acheivement on record (there are older ones but they don’t have unlock dates on them) Dominating the Dutch League in Pro Evolution Soccer 2008! I will always hold this up as the pinnacle. Metal Gear Solid 2 HD has VR training missions… I nearly lost my sanity doing this and I definitley lost a couple of days of my life here. There are 500 missions to go through, and while some of them were breezed through in a matter of minutes, the final few had me tearing my hair out and were replayed over and over and over and over. By the end my reactions were lightning quick and my determination got me through. Seeing the acheivement pop was the biggest relief I’ve felt in years! And then on the other hand we have the stupid acheivements. I set out LOOKING for a pile of poop in Duke Nukem 3D and at that point, you have to question your priorities in life! There’s that zombie apocalypse I mentioned. Dead Rising 2. Since this game has a time limit you have to have a very clear gameplan for this and just GO FOR IT. Any wasted motion could put your score in jepordy. I did this in an afternoon, it was so much fun and so rewarding when my hard work paid off! Anyway, The acheivements above are just a small selection! Total gamerscore for that lot was 135g… so you can imagine how long it takes to get to 100,000. Well worth a blog post haha! UPDATE: The Milestone has been reached, the victory claimed. THE FINAL ACHIEVEMENT UNLOCKED! The honour goes toooooooooooo……..
Well, that’s what should have happened. In a cruel, last minute twist – that 15 point achievement left me stranded on 99,995 points! The horror, the sheer panic on my face! Unlocking almost ANYTHING else right now would pass the magic 100k mark forever. Frantically I searched through my collection and FOUND a 5 point achievement I’d somehow missed – on a 2 year old Fifa game…. but we won’t talk about that! Drama over, and the celebrations can begin. I have 3 photos to leave you with, apologies for the poor quality of the first one, and triumphant jubilation for the last! It’s been an experience. What does the future hold now I’ve hit the magic marker? I’d like to think that the spell will be broken, that I’ll be able to play games just for the fun of it. No delving into guides or hunting down collectibles with Youtube videos. But that may be just a pipe dream, part of me will always love the PLINK! Posted on June 5, 2016 June 5, 2016 by itsonlyleggyPosted in Feature, ModernTagged Achievement, Xbox 360, Xbox One. Previous Previous post: First Video: Die Hard Arcade!